This is the sequel for "Christmas Lesson". 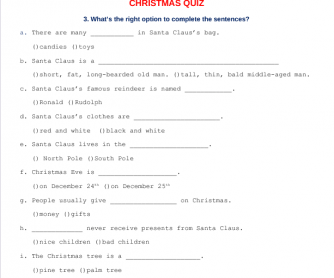 In this lesson, there is a quiz on Christmas trivia. Students should choose the correct option to complete the sentences. Right after it, there is a hangman game. 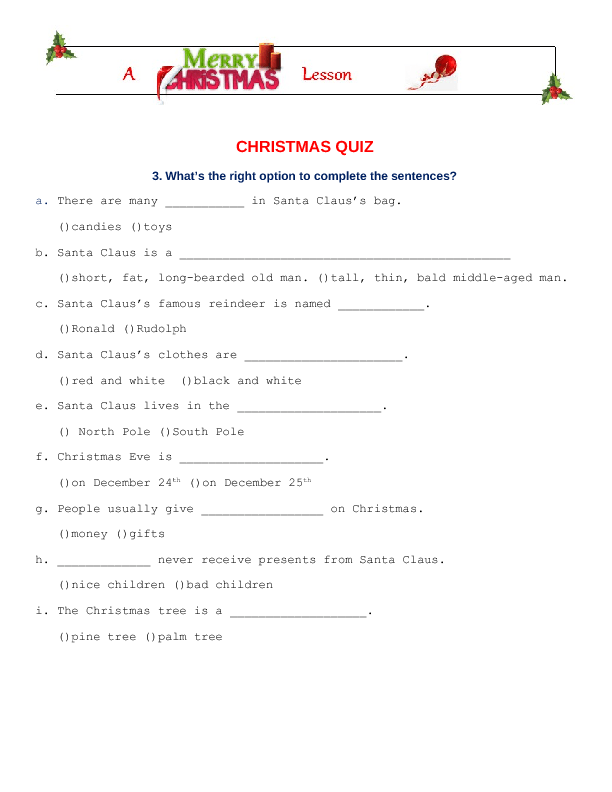 In this game, students should use the words previously learned in the vocabulary exercise (it's in worksheet "Christmas Lesson").